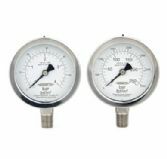 Pressure Tech supply a complete range of high quality stainless steel pressure gauges. 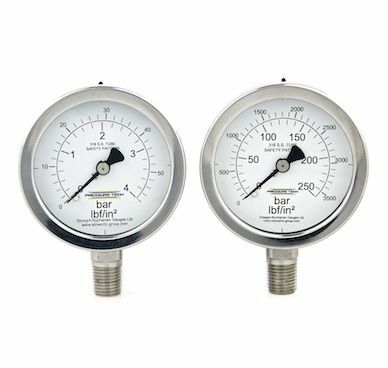 The diameter of the pressure gauges Pressure tech supply is 63mm, they feature dual scale (bar / psi) dials, are full safety pattern with blowout back. The connection is on the base of the gauge and is available as standard in 1/4"NPT(M). Please contact the office for other types of connection.